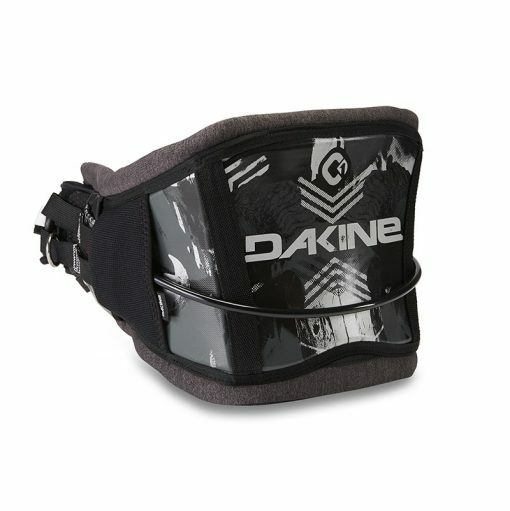 The Dakine C1 harness features the snug fit and custom comfort of the C-1 Adaptive Fit Composite shell. The C-1 Hammerhead comes complete with the easy-connect/disconnect Push Button Hammerhead spreader bar and features a narrow profile fit with the built-in comfort of memory foam pressure point relief zones. 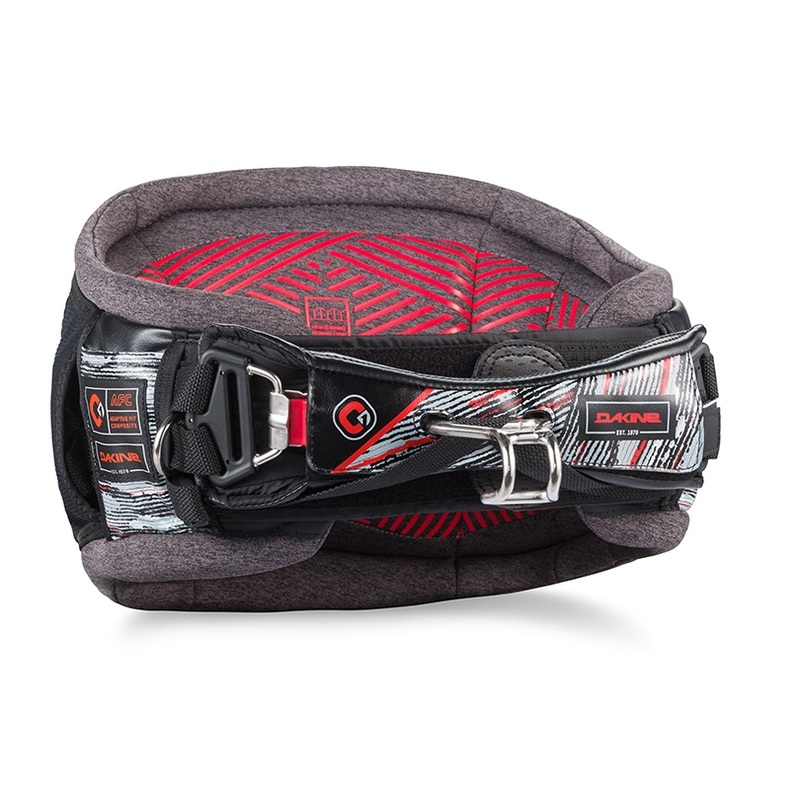 The result is a high-performance kiteboard waist harness with a focus on customized comfort. 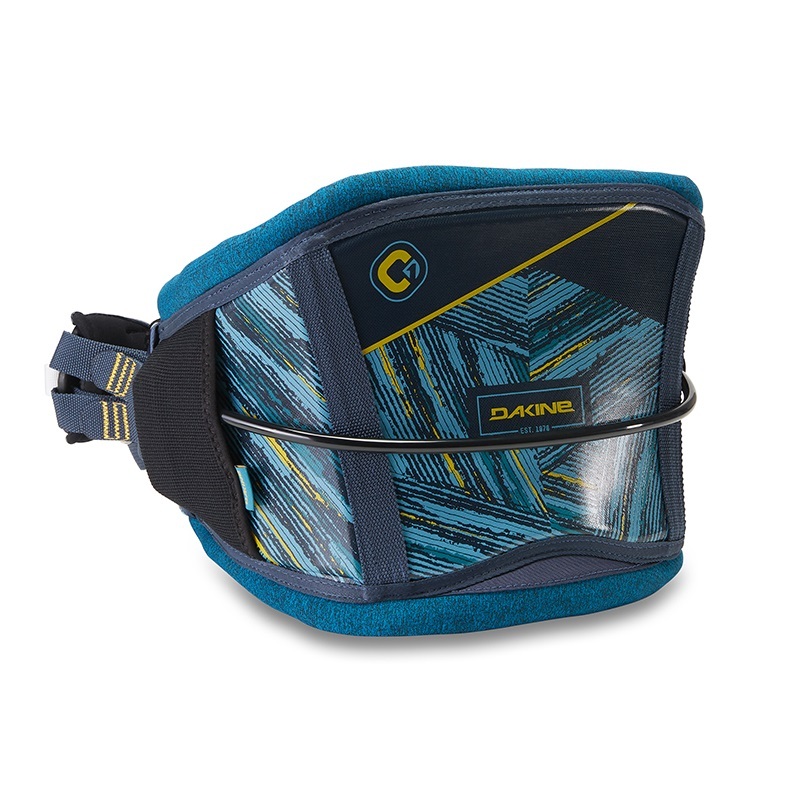 The Dakine C1 harness is a hard shell harness that disperses the pull of the kite evenly through out the back without squeezing or riding up. The Precurved back panel allows the harness to fit into the small of your back and the reduced size allows for ultimate range of motion. To ensure a comfortable fit Dakine has padded the C1 with a Memory Foam liner that molds to your body. Increase your potential with the Dakine C1 Harness. 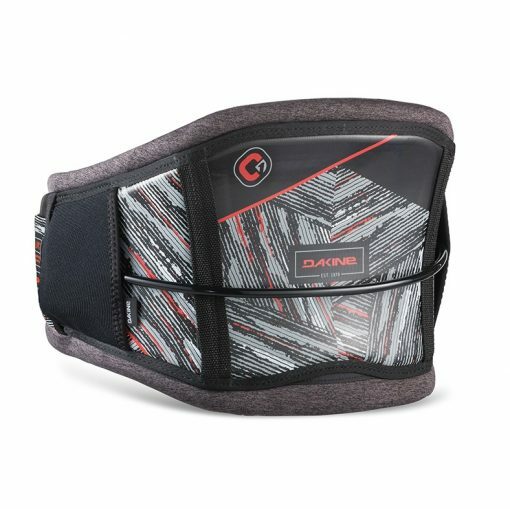 Chasing the success of the hard back harness revolution Dakine has added their signature to the design with their new texon semi hard material that will contour to fit your body. It softens with heat and then will harden when cooled so it is easy to customize and it will change with you. For: Comfort, Range of Motion, Load Dispersion, Kitesurfing, Wakestlyle, Freestlye, Freeride. The 2019 Dakine C1 is available in Seaford, Black and Griffin Static colorways.